BURNABY — When Jack Dumont thinks about the past two years, the rising UBC Thunderbirds freshman can’t help but reflect on the help and support which was extended to himself, his mom Trixie and his younger brothers Hunter and Cole through the outstretched arms of B.C.’s tight-knit basketball community. Back in the late summer of 2016, as he prepared to begin his Grade 11 season with the Vancouver College Fighting Irish, Dumont lost his father John, 41, to a valiant battle with cancer. 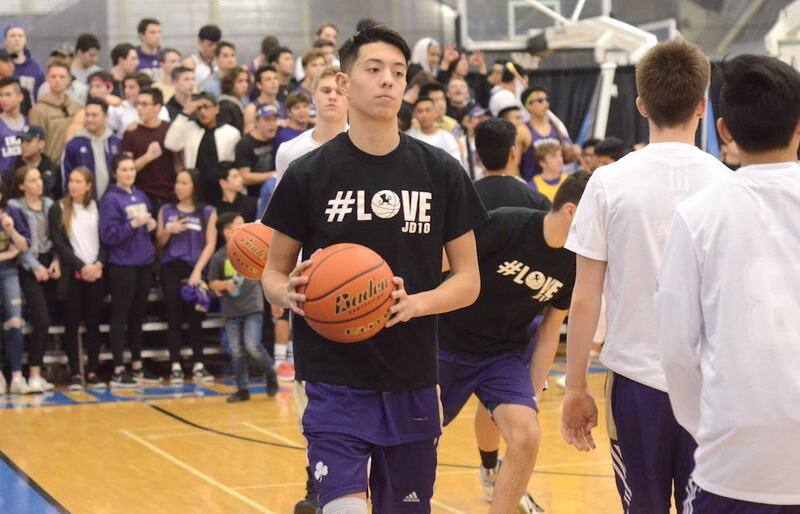 That same summer, the first John Dumont Classic tournament was staged in an effort for those in the local basketball community to express just how much the former VC and UBC star meant to them. Jack Dumont, who has followed in his father’s precise footsteps, has simply never forgotten. And earlier this week, it was inspiring to see how, just two years later, the tournament played in his father’s name had grown into a self-empowering force. 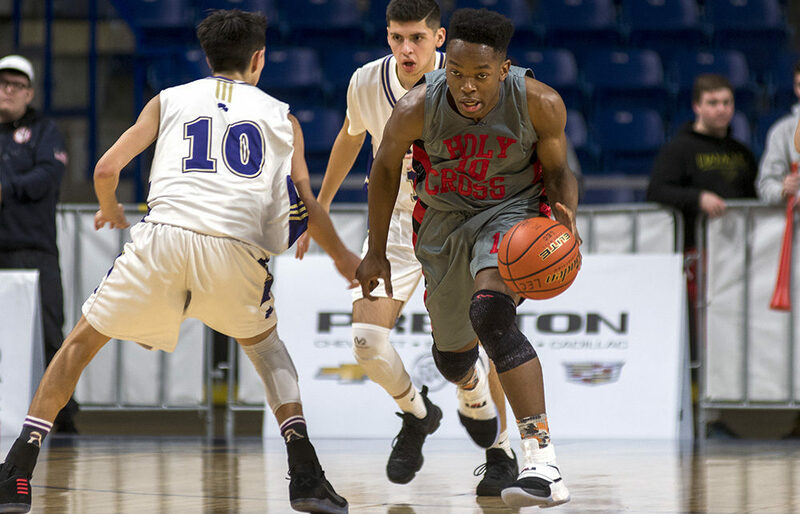 On Sept. 1, when the third annual John Dumont 3-on-3 Classic is staged on the courts at the Richmond Olympic Oval, all proceeds from the day will go towards supporting the future endeavours of Holy Corss Crusaders’ rising Grade 11 guard Uyi Ologhola, who recently lost his mother Edna to cancer. Registration is simple. All you have to do is click here — johndumontclassic.ca — and you can sign up in 3-on-3 age divisions from U-11/12 through adult. Jack Dumont’s hope is that each year, the JDC will be able to help, in some way, a family in need. “For the future of the tournament, we would like to find a family undergoing a situation where they could use some help, to be supported in the ways that we were supported,” he explained. Fans of the B.C. high school game know Uyi Ologhola as not just an incredible talent — a player who as a ninth grader at the 2017 B.C. AAAA championship quarterfinals, scored 37 points in a 99-86 OT win over Jack Cruz-Dumont’s Irish squad — but as a kid who owns the kind of epic smile capable of lighting up the Langley Events Centre. Four full courts will be in use at the event. There is a barbecue and beer garden as well, outside on the Riverside Plaza. All together, it’s the kind of day that the late John Dumont loved most.